GPS (global position system) trajectories collected by urban cars depict the citizens’ daily trips and reflect the traffic situation in city areas. The process called map matching is to match the GPS point sequence to the corresponding road which is the fundamental step for further travel pattern mining and transport situation analysis. The existing research based on the incremental map matching applies only to GPS trajectories of high-sampling-rate (0 to 30 s). However most actually collected GPS trajectories are with a low-sampling-rate (more than 2 min) for saving the collection and transmission costs. 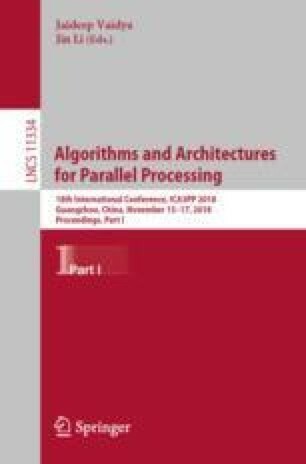 In this paper, we proposed an incremental map matching algorithm based on weighted shortest path, called WSI-matching. By matching single GPS point to its candidate road and filling the missing path between two GPS points, it improves the overall matching accuracy with a relatively low time complexity compared to the traditional global matching algorithm. Experiment results show that our WSI-matching algorithm present obvious advantages over traditional incremental algorithms and global algorithms in terms of both matching accuracy and running time, and it adapts to either high-sampling-rate trajectories or low-sampling-rate trajectories. We thanks that this work was financially supported by National Natural Science Foundation of China (61772230, 61702215), Science & Technology Development Project of Jilin Province (20160204021GX) and Special Foundation Project for Industrial Innovation of Jilin Province (2017C032-1).